At the Farm Cooking School, it's our belief that kids who cook, learn to love great food and eat their vegetables too! We love having kids in all of our classes and they are welcome to join any class alone, or with an adult based on their experience and comfort level. We also offer a variety of kids only classes, events, and camps! 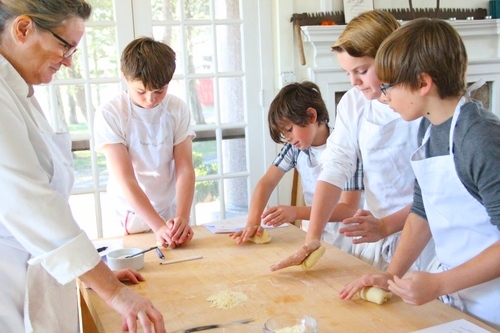 We regularly feature kids cooking classes that are designed for kids ages 8-13 and high-school students. 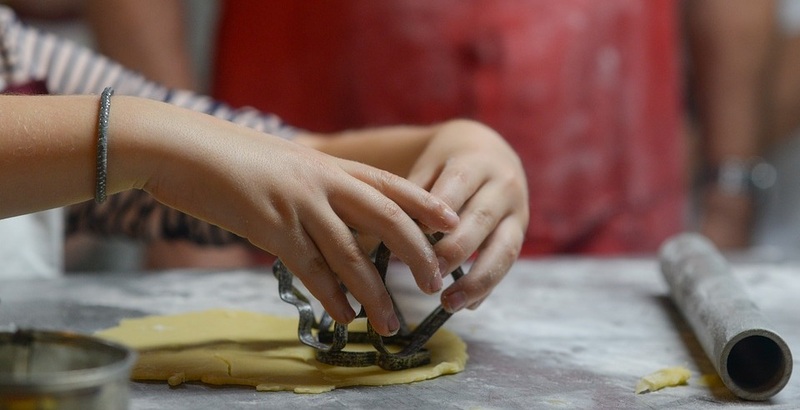 Classes are suitable for kids who have never cooked, as well as future chefs! The feedback we get is awesome and the kids always have a great time! We are not sure who has more fun however, us or them! Classes cover culinary basics, regional and world cuisines, and specific techniques. Classes are taught by Chef April Galilio, Chef Dan Slobodien, and some of our favorite guest instructors! If you’re looking for a fun and informative summer program for your child or children ages 8-14 (through rising 8th grade), look no further. The Farm Cooking School is offering a summer camp for children who like to cook and are interested in nature, farming, and the outdoors! We are offering two week-long sessions, from July 8-12th, 2019 , and August 5-9th, 2019. No prior cooking experience is necessary. Children of all skill levels are welcome and will be split up into two age groups wherever most appropriate; 8-10 and 11-14. More information here! We look forward to celebrating summer with your child. Save your space by clicking on the week of your choice and following the prompts to register. Once registered, additional forms will be sent to you. If you have any questions, send us an email at thefarmcookingschool@gmail.com. We are excited to launch Tuesday night kids cooking classes. Cooking skills are in short supply these days and most schools no longer offer Home Economics, Culinary programs, or Baking courses. On the 2nd Tuesday of each month, there will be classes for young people ages 8- 14 (through 8th grade) and on the 4th Tuesday of each month, classes for high-school students (Eighth graders may attend high-school classes if they prefer). All students are welcome to attend regular classes if they are experienced in the kitchen and eager to learn more. Younger students may attend with an accompanying adult. April 23rd - High-School Cooking - Breakfast for dinner! May 14th - Kids Cooking - Ice Cream Social! May 28th - High-School Cooking - Make your own pizza! August 2nd 6pm - College Survival Skills- Better than dorm food!